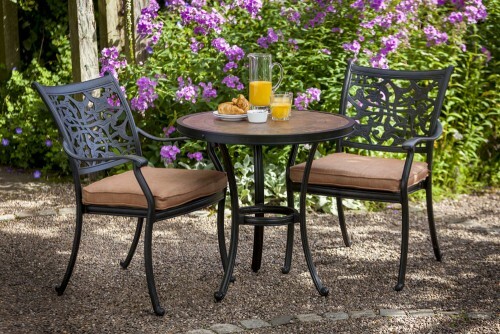 The exclusive Celtic Aria Outdoor Dining Garden Furniture set is a stylish and sturdy outdoor dining set. 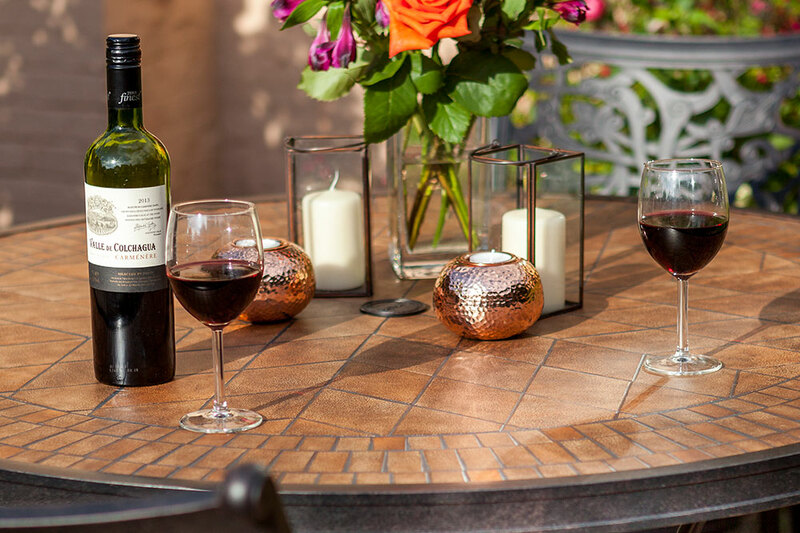 Choosing a design such as my Celtic range from Hartman will add to the illusion of space as the open design directs the eye through it rather that to it, subtly harmonizing with the rest of the garden. 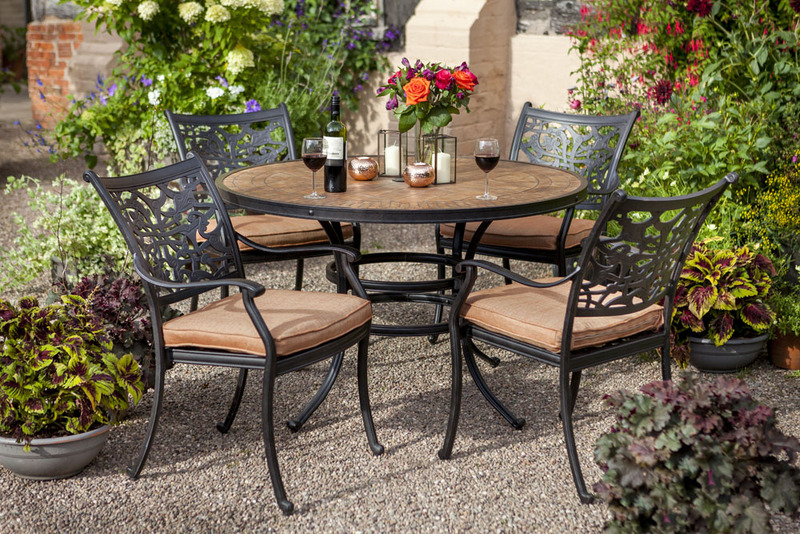 It comes in three sets, a rectangular set with six seats perfect for entertaining friends on those summer evenings. 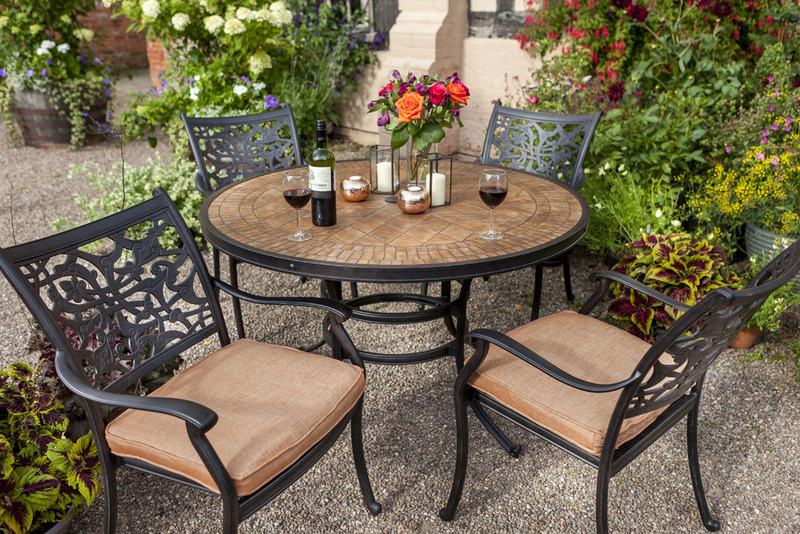 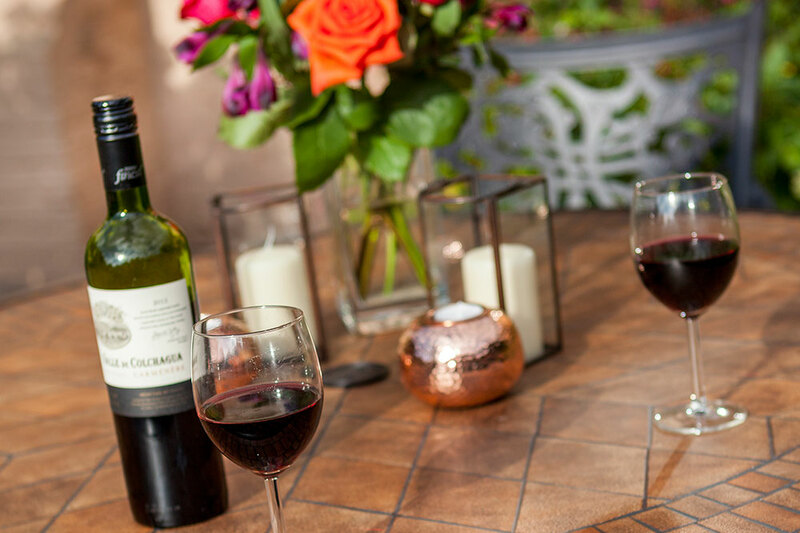 The smaller four-seater round set is great for a family afternoon BBQ, while the two-seater bistro set makes romantic evenings in the sunset all that more special. 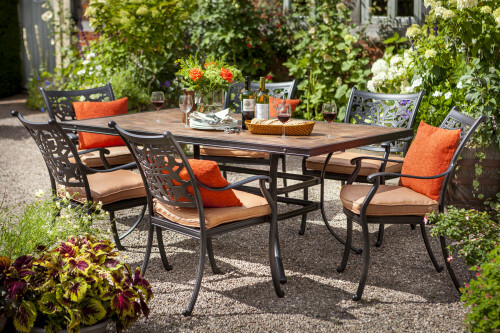 All sets come with pumpkin coloured cushions which complement the natural look of the table top.